This trip to the archives digs up the paper Digital channels, the change in community structures and its consequences for social participation. 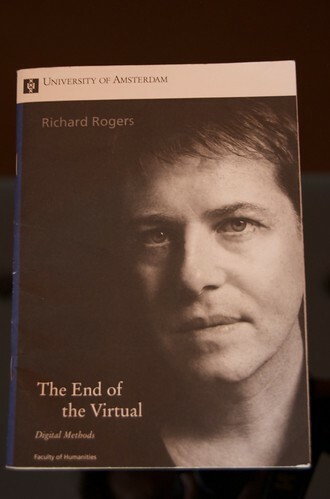 I presented this paper in Belfast at the ISEA 2009. For a short glance at the argument have a look at the presentation. The full paper can be found here. For a second trip to the back catalogue have a look at Twittering Dissent: Social Web Data Streams as Basis for Agent Based Models of Opinion Dynamics. A paper that Pascal Jürgens presented in Vienna, Austria in early 2009. In this paper we build on the work we presented in Modeling Small-Group Interaction on Pervasive Digital Channels: New Influence on Public Opinion’. In contrast to the earlier work in this paper we focused on the potential agent-based modeling holds for the social sciences in general. The quiet days at the end of any semester are great for side projects. So for this semester I decided to go through my back catalogue of presentations and publications and make some of them available on this site. 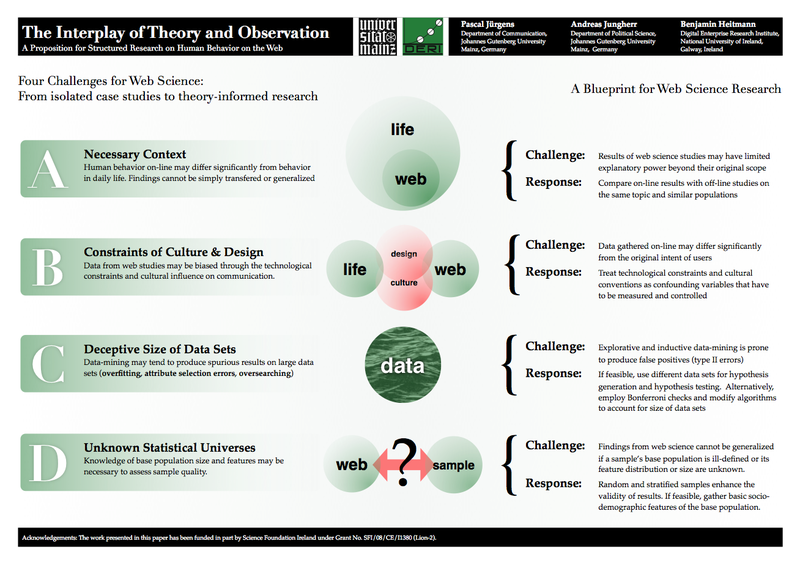 Today I’ll start with a poster from 2008 which Pascal Jürgens and I presented at the International Workshop on Challenges and Visions in the Social Sciences in Zurich, Switzerland. In this poster we used the big Lacy/Zuckerberg dustup at the SXSW 2008 to gain some deeper understanding in the dynamics of communication via Twitter. To this end agent based modeling proved to be a very promising research tool. The Lacy/Zuckerberg session gave a first glimpse on the negative effects of a communication backchannel running wild. Since then other incidents proved the relevance of more research into that phenomenon. 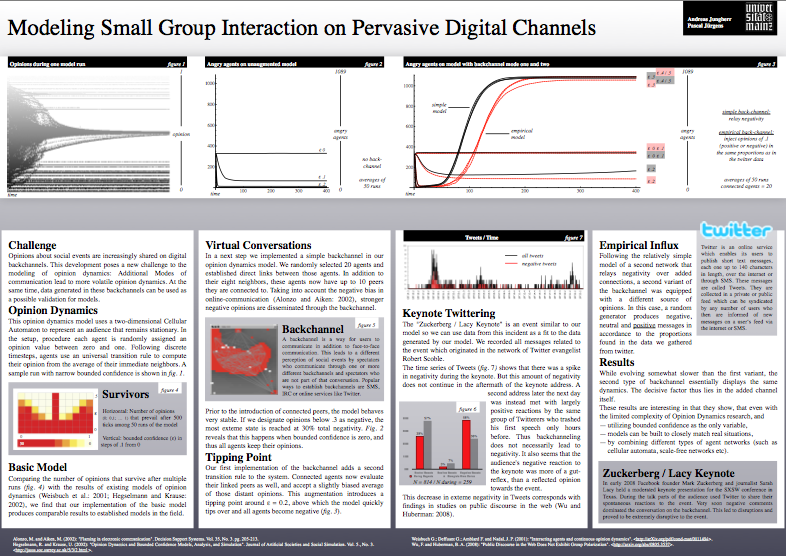 For a closer look at our poster check out the pdf on the publication page for Modeling Small-Group Interaction on Pervasive Digital Channels on this blog.